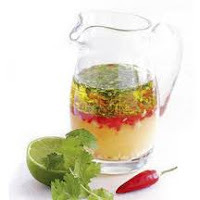 Using a food processor or blender, puree the wine, olive oil, lemon juice, orange juice, onion, habanero, salt and pepper, to taste. 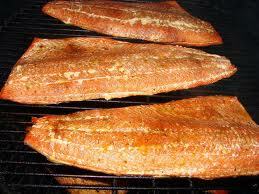 Place the salmon fillets in a baking dish, add the marinade, cover and refrigerate. Marinate for at least 1 hour, preferably several hours. Preheat the grill to medium-high. 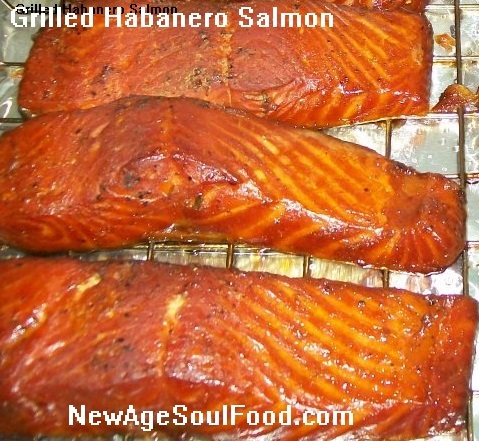 Remove the salmon fillet from the bowl or baking dish and discard the marinade. 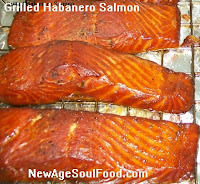 Place the salmon on the grill and grill about 4 to 6 minutes on each side. 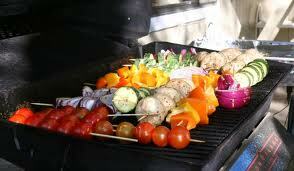 Remove from grill to a cutting board and let rest for about 5 minutes before serving. Place the skirt steak in a baking dish, add the marinade, cover and refrigerate. Preheat the grill to medium-high. Remove the steak from the baking dish and discard the marinade. Place the steak on the grill and grill about 4 to 6 minutes for medium-rare to medium. Remove from grill to a cutting board and let rest for about 5 minutes. Slice into thin pieces at a diagonal. Note: Traditional fruit salad recipes call for some sort of sweetener; I say that is not necessary these fruits contain their own sweeteners. Combine fruits in a bowl. In another bowl, combine all the other ingredients, and then pour it over the fruit. 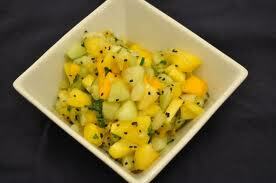 Whisk the dressing ingredients in small bowl to blend, cover and refrigerate. Let stand at room temperature 30 minutes and re-whisk before using. Place asparagus spears on a baking sheet. 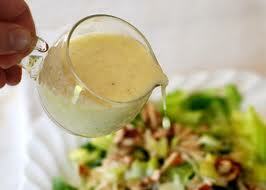 Drizzle ¼ cup vinaigrette over and turn to coat, then spread in single layer. Grill asparagus until just crisp/tender, about 8 - 12 minutes, depending on size. Cut asparagus in thirds on the bias. 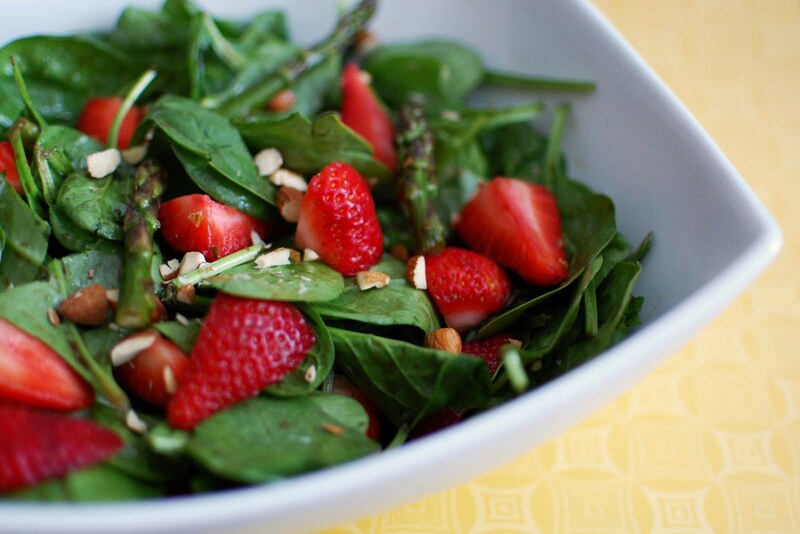 Combine asparagus, arugula, spinach and strawberries in large bowl. Add remaining vinaigrette and toss to coat. Optional - Add shaved cheese, at time of plating. Whisk together olive oil, lemon juice and seasonings and sit aside to spread on corn once it’s done. Purchase fresh corn on the cob. When you pick out your corn, be sure to partially peel back the husk and silk so that you can be sure you're getting a good ear. Remove as much of the corn silk as possible without removing the husk. Excess silk will burn while the corn is on the grill. Soak the corn in water for 15 to 20 minutes. This will ensure that you can cook the corn for a long enough time without it burning. Take the corn out of the water, and shake off any excess. You want the corn wet, but not dripping. 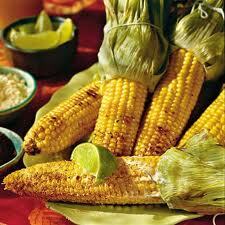 Close the silk back around the corn and place the corn on the grill and then close the lid. A gas grill should be on medium heat. If you're using a charcoal grill, make sure the coals are no longer flaming. Turn the corn every 10 minutes, you want the corn to be evenly cooked and browned on all sides. When the corn husk is charred and nearly black, your corn is done. Remove the corn from the grill and carefully remove the husk and remaining corn silk. While the corn is still hot, use a pastry brush and brush each ear of corn with the olive oil spread. Note: You can choose any vegetables that take well to grilling, such as peppers, eggplant, tomatoes, carrots, squash, onions, potatoes, Yams, artichokes, mushrooms and asparagus are just to name a few. 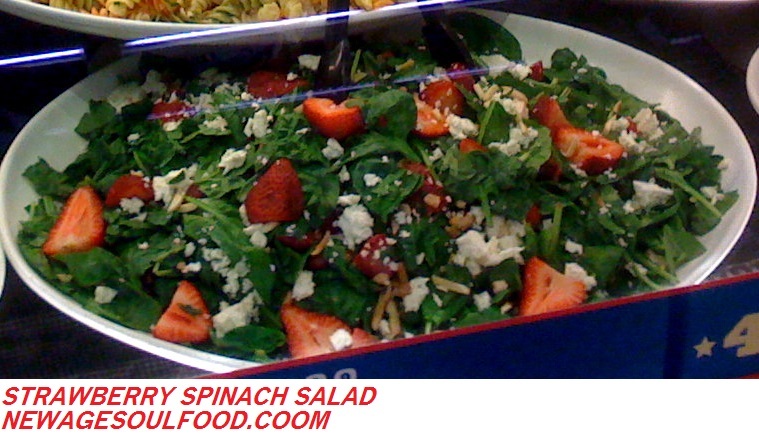 Salads are often seen as the epitome of healthy food choices because they're mostly comprised of vegetables and lean meats. 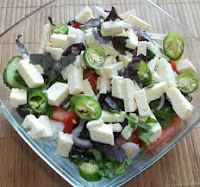 But it's all too easy to take that salad from healthy to health hazard if you're loading it up with extras to hide what can be a bland palate. These eight extras are the typical offenders that most folks add on to their greens, and combined, they can be more damaging for your diet than a Big Mac and fries. Keep these in mind the next time you're building your leafy masterpiece at the salad bar, and you'll save yourself an extra hour at the gym! 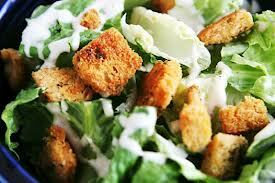 Croutons have zero nutritional value to add to a salad because they're simply dried bread and oils. All you're adding to that leafy goodness is fat and carbs--and at least 100 additional calories if you're adding one half cup or more. 3 strips of bacon have more than 4,000mg of sodium. That's twice your daily limit! Like bacon, processed meats are crawling with preservatives, high sodium content, and bad fats. They might add protein, but not enough to make up for all that damage, especially when there are healthier options, like grilled chicken breast and ground turkey. You should also avoid "breaded" or "crispy" meats, like chicken strips, which try to masquerade as healthy but are really nice ways to say fried. Fried meats are full of artery clogging fat and grease, and they'll add so many calories that your salad's nutrition level instantly tanks into might-as-well-have-gone-to-KFC territory. Nuts are a good source of protein, sure, but most of what ends up on your salad is actually bad for you because they're covered in sugar. 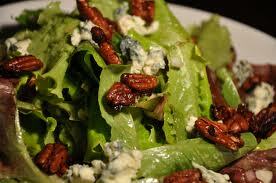 If you're adding nuts to salad that are labeled "honey roasted," "flavored," or "candied," you're fooling yourself. Aside from being high in sugar and calories, these nuts are typically also treated with hydrogenated oils, which are bad for your arteries. Using plain or raw nuts can add texture, but if it's a sweet kick you're looking for, add fresh or dried fruits to your salad instead. 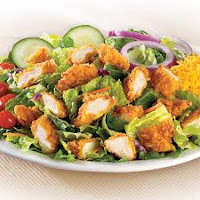 You already know that this is where the real salad offender lies. Salad dressings are the fastest way to ruin a healthy salad because they're high in sodium, fats, sugar, calories, artificial flavors, and even MSG. And the creamier the dressing, the more calorie-rich and health menacing it becomes. Stay away from dressings like blue cheese and ranch. Yes, the war on dressing continues. Even if you are using a lighter dressing than cream and mayonnaise-based versions, like bleu cheese and ranch, you're probably pouring more onto your salad than you really need to satisfy your taste buds. Too much of a lighter dressing is just as bad as a little of the more unhealthy kind. Your salad should be lightly tossed with dressing, not soaking in it. 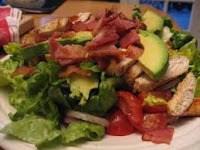 In a healthy salad, you should taste more of the veggies and only a hint of the dressing. That was the idea in the first place. If you can, try keeping the dressing in a bowl or cup next to your salad. Dip the tines of your fork into the dressing first, and then pick up a few pieces of the salad. You'll be surprised at how much you can taste even with so small an amount, and you'll save yourself a load of calories you don't even need. 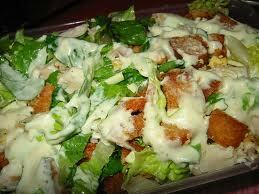 Note: All of our salads come with light homemade dressings and many are Vegan! The Darker the Berry the More Anti Oxidants!